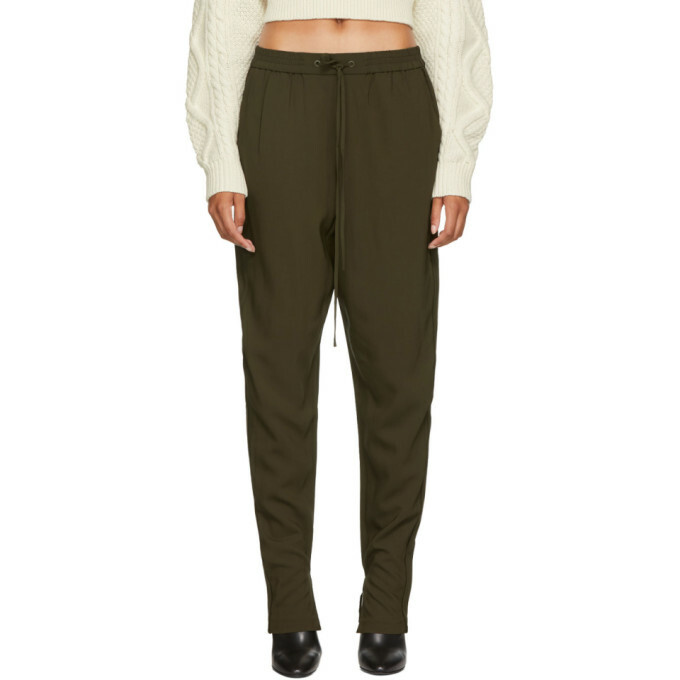 Tapered stretch viscose twill lounge pants in moss green. High rise. Three pocket styling. Pleats at front. Drawstring at elasticized waistband. Vented cuffs. Tonal stitching.